Japanese messaging app Line has just reported that new users in Hong Kong have been doubling each day for the past week since January 29. The app, which is the dominant messenger of choice in Japan, launched its Chinese version on December 12, and looks like it’s riding a huge wave of momentum in Asia, ranking first on the free app category in Singapore, Hong Kong, Taiwan and Thailand, to name a few. Line provides free calls and chatting, and the company noted in its latest announcement that the hike in numbers in Hong Kong seems to have been prompted by some service provider decisions to impose annual fees on SMS messages. Typically, users on the same provider can text each other for free, but telcos charge for inter-network messages to try to get subscribers to pull in friends and family onto the same networks. Line is made by the Japanese arm of Korean firm, NHN, which operates its country’s dominant search engine, Naver. Line also recently passed its 100 million user mark on Jan 18, just a year-and-a-half after launch. 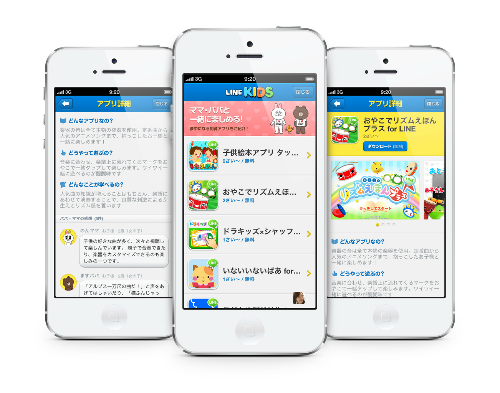 The app counts about a third of Japan’s user base as subscribers. The main hook for Line, it seems, are the emoji unique to it. Users typically buy those from the company, and as early as July last year, reached about 300 million yen, or $3.75 million each month in sales. With the current growth rate for Line, that number is bound to be far higher now. More and more Asian messaging apps appear to be focusing on voice functions in addition to messaging. Unlike popular U.S. client, WhatsApp, which doesn’t support voice calls, other major Asian players like WeChat and Kakao Talk do. WeChat has about 300 million users and Kakao Talk has 72 million users.